IWC has recently rolled out their boutique exclusives this year (if you haven’t noticed, the they seem to do this every year). The brand has fallen in love with red gold this time around, and they’ve done some really interesting things with its soft red hue. 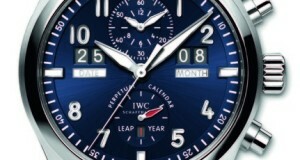 The latest creation from IWC to mark the occasion features a stylish blue Portofino chronograph. Again, they were a part of the fundraising night recently hosted by Laureus Switzerland and they gave a unique perpetual calendar Pilot’s watch for the event. 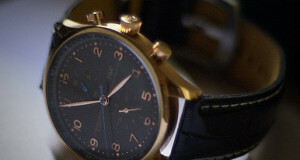 IWC is a beloved luxury watch company based in Switzerland. It has a unique history. Florentine Ariosto Jones, an American, traveled to Switzerland to begin the International Watch Company. 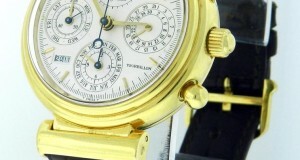 He created the first watch manufacturing factory in Schaffhausen, Switzerland. The brand still incorporates Jones creative spirit and ambitious nature. Watch Gallery boutiques in UK is proud to provide you with the classic style IWC Ingenieur Automatic watch. As they are releasing only 500 of these watches, you may have to hurry to get hold of one of them. It really does look pretty hot. The International Watch Company, or IWC, is quite dependable when it comes to making elegant, high-quality watches, but they may have outdone themselves this time. 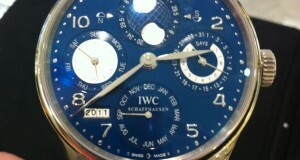 The IWC Portuguese Perpetual Calendar is absolutely exquisite in white gold with a brilliant blue dial. If the term “Haute Horlogerie” didn’t already exist, someone would have to invent it to describe this watch. It is a sight to behold, and has inside it some of the most masterfully crafted machinery in the world. 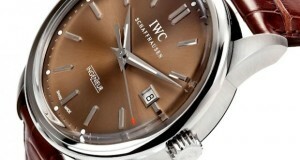 Last year IWC unveiled the IWC Portofino Hand-Wound Eight Days Watch. 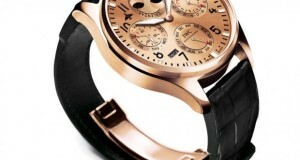 This is a new watch by Portofino that features the new 59210-caliber created by IWC. The name of the watch is very self explanatory as manufacturers claim this new caliber will run with precision for eight days in a row.